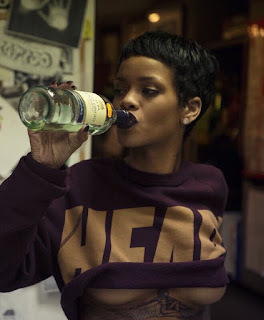 Rihanna continues to be the groundbreaking, record-shattering superstar that we know and loves her for. The bad gal keeps on winning as Apple announced that she became the first female artist to cross 2 billion streams worldwide on Apple Music, making an already special International Women’s Day that much sweeter. As Apple Music dropped a list of the 20 most streamed women in music for IWD via Instagram on Thursday, Rih Rih reigned supreme, landing the no. 1 spot over star-studded names such as Taylor Swift (#2), Beyoncé (#3), and Adele (#5) among others. Check out the full list above and check Rih’s full Apple Music catalog here. Congrats to the bad gal!